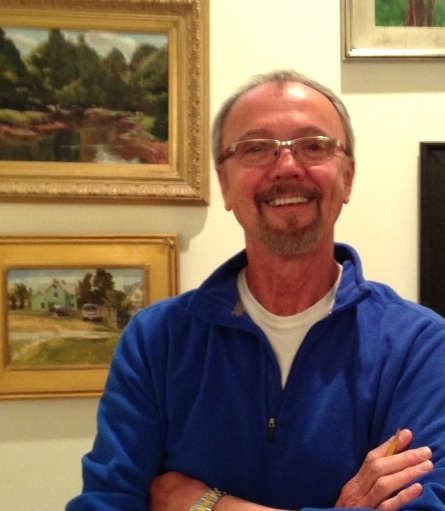 David is the 2014 Annie Awards Recipient for Visual Arts, awarded by the Arts Council of Anne Arundel County. Congratulations, David! ME: I am a plein air artist living in Annapolis, MD. I received formal training in the public schools of Western Maryland, Frostburg State University, University of Maryland, Towson and Catholic University. I taught art in Allegany and Anne Arundel Counties in Maryland, working with students from elementary through middle school, as well as adult education and private lessons. In addition to my current role on the Board, I chair the Exhibition Committee, and work on installations at Quiet Waters Park art galleries. 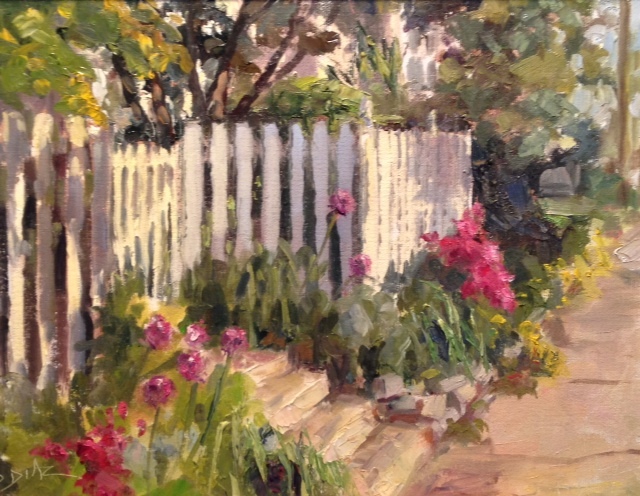 I am a former Chairman of the Board of the Mid-Atlantic Plein Air Painters. I have won awards for my art, and my work is in collections in the United States, Europe, and Asia. MFA & ME: I knew Circle Gallery was a nice gallery in town, but I didn’t know the breadth and depth of MFA until I left teaching art and started producing art full time. Initially, I wanted a place to show work. After joining, I met like-minded folks who were open to sharing ideas, friendship, and information. My new MFA friends encouraged me to enter shows and encouraged me even more when I wasn’t accepted. I think artists starting out are a lot like me. They join for one thing and find they like the look and feel of belonging to an organization that supports the ideals of artists working together helping each other grow and change. It is exciting to be part of a group that is known internationally, and I am still just as excited when I get into a show. MFA has helped move me along on my professional path, and I am grateful for the support. We have a large family of artists who look after you, respect your work, and let you find your place in the group if you want to do more. Being President of the Board helps me guide the expanding support of artists such as yourself… to help you further your art career and path in whatever direction you choose.